Well, except that the traditional holiday pudding contains no figs. More on that later, along with some old recipes. First, we’ll unwrap the fig itself to find out what’s inside. 4) one or more “female” pistils, anchored by an ovary. The pistil catches pollen grains, which then grow down through a style to the ovary and the seeds within. 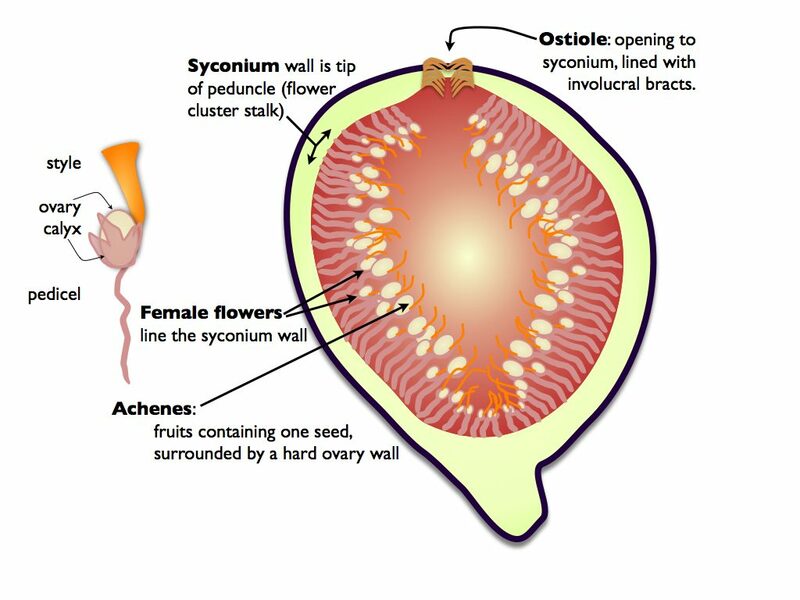 The ovary matures into a fruit. Fig flowers are a bit like Christmas presents: you can’t see them without opening up the structure that encloses them, and sometimes the wrapping is more exciting than what’s inside. 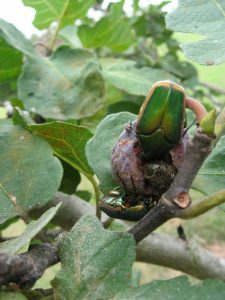 As it turns out, being hidden from view also means being hidden from all but the most specialized pollinators, which is a big part of the fig story (see below). Cutaway view of a fig with a closeup of a female flower on the left. Flowers within the fig are shown without a calyx, which is not apparent anyhow. Get the full story of the fig at the Botanist in the Kitchen blog.